Write Essay on following topics and win Cash Prices Upto PKR 150,000 Gold Medal Prize. 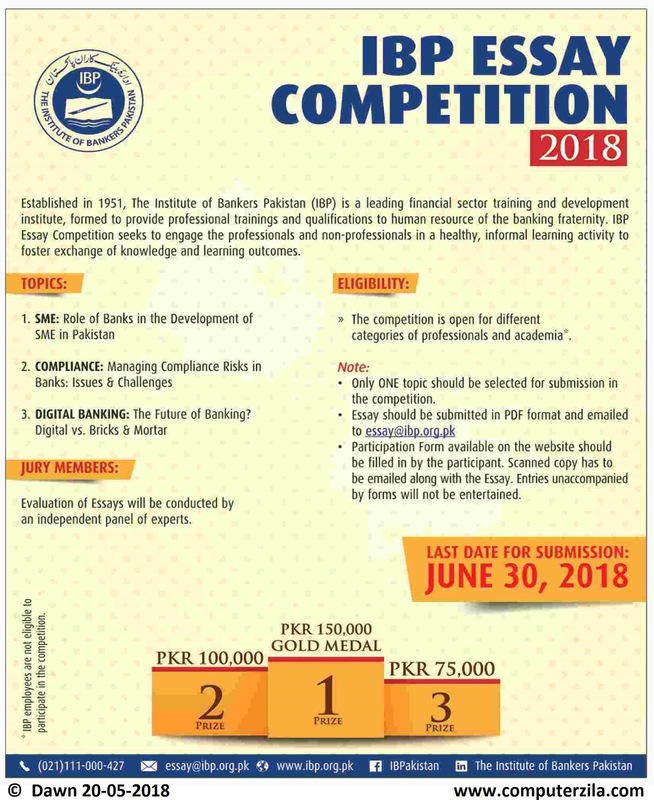 IBP Essay Competition 2018, write essay on SME, Compliance and Digital Banking. and email it to IBP.